How are you doing? I’m Kevin O’Hara for alcoholmastery.com. 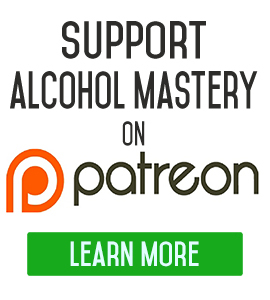 Today I wanted to talk about the new course that I’ve just made for Alcohol Mastery. This one is called the 30 Day Alcohol Reboot. 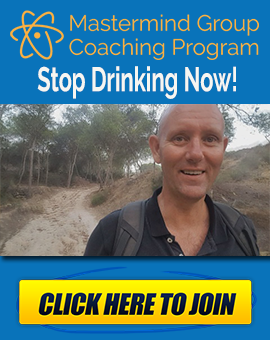 This course is for anyone who really wants to get a grip on their alcohol consumption, for anyone who wants to take a break from alcohol for 30 days, or who wants to quit drinking alcohol more into the long-term. Whether you are quitting for personal reasons, you’re quitting for health or wealth reasons, this course has got something to offer you. Quitting drinking alcohol without going through the normal channels, the AA or any of that kind of stuff, doing it on your own, even quitting drinking alcohol for 30 days, gives you a great springboard into experiencing what it’s like not to have alcohol in your life. You go through four full weeks, you go through four weekends, and you go through a lot of the day-to-day stuff that you would normally go through within that 30 days. And, 30 days, even though it’s not going to kick your habit, it’s not going to get rid of the habit altogether, it’s a huge foundation, right. It gives you a huge foundation for continuing on with this journey. Basically, what this course is comprised of is three different modules. The first module is the before module, then there is the during unit, then there is the after unit. The before unit goes into a lot of stuff like perception and expectations… What to expect from quitting drinking for 30 days… How to plan things out? How to prepare yourself? How to keep yourself motivated? We go through the motivation because motivation is one of the biggest issues in any quit drinking journey and we carry on that theme throughout the “during” unit. The during unit is broken down into four weeks, week one, two, three, four… This unit basically goes through a lot of different stuff, what you are going to experience in the first four weeks. The first week is the most comprehensive. This week goes through a lot of stuff like cravings, expectations, how do you get through sleeping, how do you deal with people, how do you deal with your environment, all that kind of stuff. It’s all encapsulated in this first week. 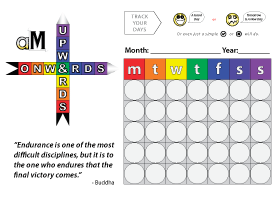 Weeks two, three, and four, go much more into how to keep yourself going, how to keep your body going, how to keep your mind going, keep things on an even perspective… Week four basically tapers things down, while you are preparing to stop the 30 day challenge. In the after unit, we’ll tackle this a bit in week four as well, we’re going to start looking at what do you do afterwards. We look at this from two different perspectives. First, from the perspective that you are going to carry on with this journey, that you have got to the 30 days, that you understand things from that perspective now, you have all the experience of those 30 days before you, and we look at how you are going to carry on, how you are going to take those lessons forward, to continue onto 60 days, 90 days, six months, a year, and so on. We also look at what if you get to the 30 days and you think “Right, I’m going back onto the alcohol now”. Now I hope you don’t go back there, but you know, some people are going to take this and run with it. Look, I’m going to show you a couple of the different lessons from the course and afterwards we’ll come back and I’ll show you how you can sign up for the course. Will I Get Alcohol Withdrawal? According to WebMD.com, the symptoms of “Alcohol Withdrawal Syndrome” usually appear between 6 and 12 hours after the person has stopped drinking alcohol. If you think about it, these are all symptoms that come with the natural cycle of alcohol drinking. How do you feel after a heavy bout of drinking? We don’t usually call these symptoms “withdrawal symptoms”, we usually call them “hangover” symptoms. These are recurring withdrawal symptoms that are the consequences of drinking the alcohol, not in quitting drinking it. Heavy drinking is always followed by a period of alcohol withdrawal. Time period that is generally known as the hangover. The point is that, you’ve already gone through alcohol withdrawal multiple times. Every time you get a hangover after a heavy drinking session, that’s a mixture of the physical consequences of your drinking, the dehydration, the toxic poisoning, and is also a form of alcohol withdrawal. Don’t forget, you feel all these symptoms for a reason. Pain and suffering are a gift. They are telling you that what you are doing is screwed up. They are there to force you to stop doing what you are doing. The first place most people go when they’re looking for information about quitting drinking or alcohol withdrawal is Google or one of the other search engines. The Internet can provide you with a lot of resources. But therein lies the problem. The information that is provided in the first few entries of any search result are from websites who have paid to be there, in one form or another. The information that is presented on these webpages is heavily targeted towards the severe end of the scale, that small minority of people who require medical attention to quit drinking alcohol. You come to this page looking for some guidance on the best way of going about stopping alcohol, and you are met with a lot of horror stories. Too much negative information can alter your expectations. It can heighten your fears. It can lead you to believe that your problem is worse than it actually is. And remember, ultimately your expectations can transform your experience. So, as I have said, unless you are a long-term heavy drinker, meaning you have been drinking large quantities of alcohol every day for weeks or months, you should expect a very positive outcome. Your “withdrawal symptoms” are usually nothing more than the normal hangover discomfort that you have gone through many times in the past. Unpleasant as these symptoms can be, they are only temporary. Have patience. Treat the first day or two of your quit as you would any other hangover. 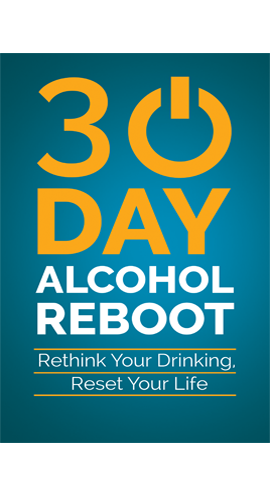 Soak up the discomfort and think of the benefits that the 30 Day Alcohol Reboot will bring you. Think about your previous hangovers. How many of them have produced the symptoms of shaky hands, sweating, nausea or vomiting, headache, or mild anxiety? How Should You Prepare Your Body and Mind for Your 30 Day Alcohol Reboot? In this section were going to look at preparing your mind and body for the next 30 days without alcohol. In your personal preparation, you have three areas of control. These are your mind and body, your environment, and the people in your life. We’ll deal with each of these areas from greater to lesser influence, starting with preparing your mind and body. Your mind where you have most control. In fact, all your personal control comes via your mind. Regardless of the “symptoms”, “side effects”, or “cravings”, what type of environment you live in, or the humors of the people in your life, none of these can influence you if you set your mind up properly. What I mean by setting your mind up is having a positive growth mindset from the beginning. Quitting drinking alcohol for a month is a choice that you’ve made. Between now and the end of the challenge, there will be many more choices. For instance, do you go to bars with your friends? What do you do if you feel cravings? What if you can’t sleep? How will you relax without alcohol? And so on. In each of these areas, you have a choice. Your mind works best when it has very simple, very clear instructions. Complexity breeds confusion. Too much confusion can be a recipe for disaster. You can make things much simpler through effective preparation. Preparation trains your mind. It allows your mind to rehearse possibilities, to see what might happen and how to act when it does happen. Let’s take a look at three simple techniques for preparing your mind. These techniques are approaching things from the right mindset, using affirmations, and making a reminder video. First let’s look at how to approach things from the right mindset. A mindset is a way of looking at things, the lens through which you perceive the world around you. For our purposes, we are going to look at four different mindsets. We’ll start with the positive mindset versus the negative mindset. We all know that there is a positive and negative way of looking at everything. A common way of expressing this is the glass half full or the glass half empty mindset. Most people have a tendency to perceive things as either generally positive or generally negative. The fixed versus growth mindset is very similar. In the fixed mindset, the person believes that the natural talents and abilities that they are born with are fixed and cannot be changed. The growth mindset believer, on the other hand, looks at these natural talents and abilities as just the starting point, like the first step on life’s journey. People with a growth mindset believe that anything they want to learn can be learned. They believe that people can improve themselves exponentially from where they started out. A positive and growth mindset will help to speed you through any obstacles that you’ll meet along the way. How do you use the positive and growth mindset? Any time you run into a problem or an obstacle, try to look at things from a positive viewpoint. Instead of focusing on the problem, focus on the solution. Look at the obstacle and see how you can overcome or circumvent it. Also, make sure you look at any obstacle or challenge in life, good or bad, as a learning experience. What’s the difference between problems and solutions? Problems are usually backward facing. You have to look back in your timeline to what the problem is, when it started, what caused the problem, and so on. Sometimes it’s difficult to know what the exact problem is. It’s even more difficult to understand the cause. The nature of the problem or the exact cause might be something in the distant past, long forgotten about. It’s much better to think about any challenges or obstacles in terms of looking for a solution. This is forward thinking. It focuses your attention on the future not the past. When you come up with your solution, you apply that solution, and you learn something of value that you can take forward for the next time you come across a similar obstacle. Another mindset shift is to look at obstacles as something you can circumvent. Many people approach obstacles as things that have to be dealt with there and then, figured out, a problem that needs to be solved. Instead, as you come up against an obstacle, ask yourself if there is a simple way to go over or around the obstacle, to move the obstacle out of your way, and so on. An example of problem sidestepping is where somebody offers you a drink, you say no, but this idiot won’t take no for an answer. The person becomes an obstacle. What is the easiest way of circumventing this obstacle? Walk away. Conveniently spot somebody else on the other side of the room that you haven’t talked to in ages, say “I’ll speak to you later” to the idiot, and walk away. Another smart technique for preparing your mind is to use affirmations. Affirmations are simply positive personal sentences that you repeat to yourself over and over again. Think about affirmations as your personal catchphrases. When you first create your affirmations, they should be positive, in the present tense, and concise. You can repeat your affirmations whenever and wherever you want. Say them to yourself when you feel a craving. Repeat them when you’re a bit down and you need a pick me up. Rerun them in your head when you are under pressure from your friends to take a drink, or take yourself off to a quiet place and read your list. Affirmations refocus your mind back onto what’s important. It’s impossible for you to think more than one thing at a time. Affirmations take advantage of this. While you are repeating your positive sentences, it’s very difficult to indulge in defeating negative self-talk. While I was going through the first few days of my quit, I would spend 10 minutes every morning writing my affirmations. I still do it now. The only difference now is that my affirmations focus on a different area of my life. I usually have 12 to 15 affirmations in total. I write them down on a blank sheet of paper while repeating them out loud. Once I finish writing them down, I repeat them out loud once more. I rerun the same process in the evening. This routine helps to reprogram my mind for the things that I want to happen. It’s a form of self-propaganda. When I feel my affirmations are completely embedded into my mind, I scratch them out and add new ones. No matter where we go in this life, we are surrounded by other peoples brainwashing. That’s what advertising is, basic propaganda. Think about all the advertising that you remember from your childhood, all those little jingles and catchy sentences. It’s brainwashing at its best. It works because that’s how the human brain works. Why not use this to your advantage? Brainwash yourself into the believing the things you want to believe? The final technique I want to talk about here is creating a reminder video. We all have our reasons for quitting alcohol, and again I encourage you to write them down on paper. You can take out that sheet of paper any time you need motivating during your 30 Day Alcohol Reboot, reminding yourself why you started this journey in the first place. A more modern and significant method of achieving the same end is to record a reminder video. You can also use this reminder video to create a personal speech, addressed to yourself. In this video, you start out by addressing yourself by name: “Hi John”. You then go on to explain to yourself why you are doing this, how you feel about yourself in that moment, why you are making the video, and how much you desire change. You tell yourself that this person that you are now in the moment is not the person you want to be. You address your future self as if they have arrived at the place that you want to be. At the end, give them a cautionary note. Tell them that you know how good it feels to be in that place where they are now and how much you do not want them to go back. This is a very simple technique for future motivation and it doesn’t take very long to set up. We all have access to some sort of video camera these days. At the very least we have a camera on our phone. The only rule is to keep it simple. You don’t need a script. It will be more authentic and have much more impact if what you say is unscripted. If you want write down some basic notes, fine, but make sure that your delivery comes from the heart. Setup your video recorder in a quiet spot, press the record button, and create your masterpiece. First, try to maintain a positive and growth mindset at all times. Prepare, plan, and speak to yourself positively. Believe in your inherent desire for learning. Think about solutions instead of problems. What’s the easiest way to circumvent or overcome an obstacle? Second, plan your affirmations. Keep them positive, in the present tense, and concise. Write and repeat these affirmations once in the morning and once in the evening. Carry a copy with you that you can take out when you need motivation. And finally, create your personal pep video. When you record your video, speak from the heart. Explain to your future self why you are doing this and what you hope to achieve. 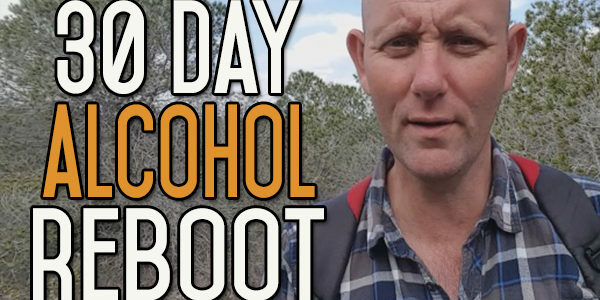 How Should You Prepare the People in Your Life for Your 30 Day Alcohol Reboot? Let’s move onto your final area of personal control. The people in your life represent the area where you have the least amount of control. Having said that, this is certainly an area which can have the most influence. John Donne said, “No man is an island”. He was right. We all need other people. Everyone relies on other people. Although it’s not impossible to achieve things on your own, it’s much easier when you have the help of those around you, especially those who are closest to you. You might not think that you need any help, and maybe you don’t. I like to think along those lines. I like to think I can do anything on my own. I don’t need anyone else’s permission, I don’t need their input, and I certainly don’t need their interference. Having said that, not taking other people into account can create unnecessary and sometimes substantial barriers to your progress. As with your environment, it’s possible to lock yourself away for 30 days and not see anyone. You can refuse to take phone calls, check emails, or access Facebook, Instagram, or Twitter. But again, this not a very viable or desirable option. Most of us need regular social interaction in our daily lives. We have to work. We have to socialize. We need to be with our families, our friends. It’s very important to get at least some of these family and friends on your side. When I quit drinking alcohol, I told my partner first, then I told my son, then my best friend, and finally I told my father and my brothers and sisters. I ignored everyone else. Everyone that didn’t need to know, didn’t need to know. It can be quite challenging to tell people that you are going to quit drinking, even if it’s only for 30 days. What’s the first thing that they’re going to think when you tell them that you’re quitting drinking? You just know some people will automatically think that you must have a problem. It’s what we have been trained to do. If somebody says they are cutting down or quitting alcohol, they are obviously drinking too much. Of course this leads to labelling or generalization at its finest. You’re a problem drinker. You’re dependent on alcohol. Maybe you are an alcoholic! The big reason for most people quitting drinking is that they are absolutely sick of putting this toxin into your body. They’ve had enough. They want to get away from this drug! You drink your fair share, but you certainly don’t drink any more than any of your friends. The problem is your starting to feel adverse effects from that drinking. You feel what the alcohol is doing to your body. You don’t like how this alcohol is affecting your life. Does that make you a problem drinker? Does that make you dependent on alcohol? Does it make you an alcoholic? In my mind it makes you an intelligent person. You see a problem and you find a solution. It’s what a smart person does. I think the best way to tell anyone that you’re quitting drinking is just not to tell them you’re quitting drinking. Again, it’s about reframing your situation and then refocusing their attention where you want their attention to be focused. Of course you have to tell them something, it’s difficult to just stop drinking alcohol and say nothing. People are curious. People want to know why you’re not drinking any more. The thing to understand about making your explanations about not doing something is that people will focus their attention where you focus their attention. You don’t have to focus that attention on the alcohol. You focus their attention on one of your reasons to quit drinking. For instance, you want to lose weight, run a marathon, or you have a big workload this month, and so on. That becomes your main goal, not quitting drinking. As part of this main goal, let’s say losing weight, you cannot drink alcohol. You’ve refocused their attention away from the alcohol and onto your weight loss. The reason it’s so important to tell the closest people to you is because their life is affected, to one degree or another, by your choices. Each person in your life has their own way of seeing things. They picture their lives within a certain framework. They also have their own perceptions about you within that personal framework. When you take on a big challenge, such as quitting drinking for 30 days, the changes that you’re making set off little alarm bells ringing in the minds of your nearest and dearest. The first thing my partner said to me after I told her that I was quitting drinking, was that she wouldn’t be joining me. She would continue to drink. Even though she was 100% behind my decision to quit, and she told me that she would support me in any way she could, she still wanted to enjoy her glass of wine in the evenings. However much I tried not to allow my decision to affect her, it did. We share our lives together. What we do affects each other. For the first couple of weeks, she was felt very uncomfortable drinking in front of me. Now, she’s totally fine with it. It’s a part of my life and her perception that I don’t drink. It’s a part of my friend’s life and perception that I don’t drink. Human beings don’t like change, and that includes your nearest and dearest. They especially don’t like it when that change is being forced on them by somebody else, even if that somebody else is a close friend or relation. So what do you do? Tell them about your plans, tell them as soon as possible, and reassure them that you will do your best to minimize the effect that your decision has on them. As we’ve already seen, you don’t have to tell them that you are quitting alcohol. All you have to say is that you’re making a couple of changes over the next month and one of them includes stopping drinking alcohol. Explain to them why you’re doing this and that you’re not going to force your decision onto them. Again, who you tell is completely up to you. Tell who you need to tell and don’t tell the rest. Because you’re only doing this for 30 days, there is not such a great problem if you only want to tell the closest people to you, one or two people, the ones who you think will help you out the most. If you decide to continue not drinking alcohol after the 30 days, you can reassess your situation then. Who you are going to tell? Will you tell them you’re quitting alcohol or will you explain it in terms of some other change? Where do you foresee problems? Are some people going to be tougher than others to tell? Who are these problem people? So, I hope you enjoyed that. There’s a lot more inside the course. It’s laid out in a very step-by-step and methodical approach, from the before unit… How to deal with things, how to get yourself prepared to start this journey, a step-by-step guide to the first four weeks, and then what to do afterwards. So, if you want to sign up for the course, just click on the link down here below, it will take you to the page where you can sign up. Until next time, my name is Kevin O’Hara for alcohol mastery.com. Take care of yourself, keep the alcohol out of your mouth, onwards and upwards. Thanks to the wise help from people like yourself, I’ve put alcohol behind, and when folks ask, I send them to your blog. Thanks for your guidance along the way.